The buildup-of the force of land-based- ballistic missiles for - peripheral attack began in 1958 with the deploy-ment of about 60 SS-3 medium range ballistic missiles. The force grew substantially through the early Sixties as deployment of the SS-4 medium range and SS-5 intermediate range ballistic missiles progressed. 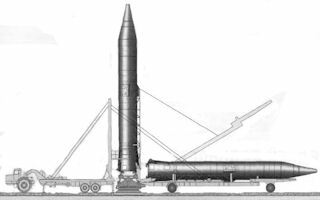 When deployment of these two systems ended in 1965, the force contained 492 soft and 84 hard SS-4 launchers, and 50 soft and 51 hard SS-5 launchers. By 1967, all of the old SS-3 launchers had been phased out and deactivation of some SS-4 and SS-5 launchers had begun. Virtually all MRBM and IRBM launch sites were primary firing positions, i.e., positions which are manned and equipped to participate in an initial salvo. There was much evidence to convince the West that the Soviets intended to provide a substantial refire capability for this force, and Western evidence on missile production indicated that, by mid-1965, each soft site could have a second-salvo missile available. 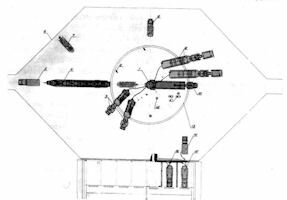 The same operational deficiencies which characterized the Soviet ICBM force — vulnerability, slow reaction time, and cumbersome procedures — appeared in Soviet MRBM and IRBM forces. 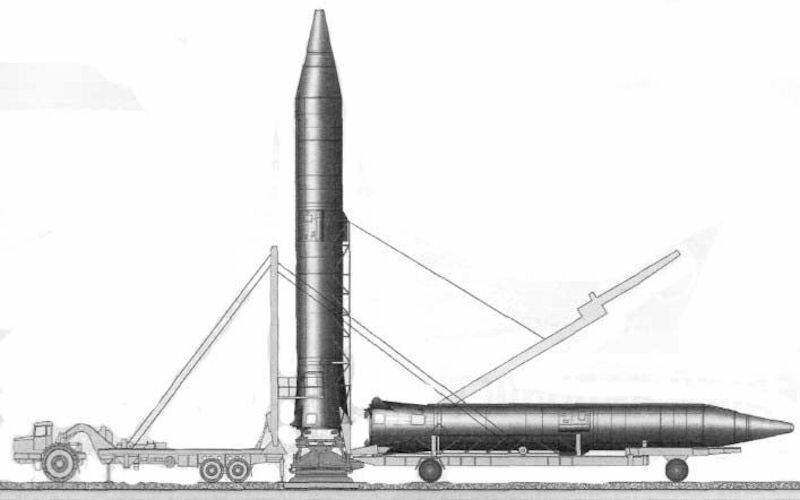 The SS-5 IRBM, with twice the range of the SS-4, was deployed during the early Sixties. One site for this missile system was located at Ugol'nyy - (across the Bering Strait from Alaska), which extendedcoverage of the peripheral missile-force to the north-western corner of the US. 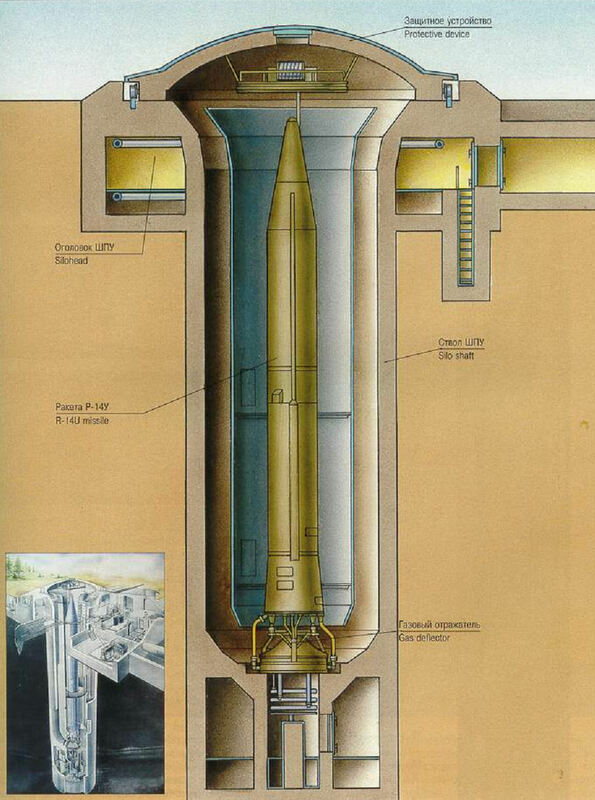 SS-5 deployment was limited to 50 soft launchers at 13 sites and 51 hardened silos at 17 sites. All SS-5 soft sites had four launchers, except for one site which had two. 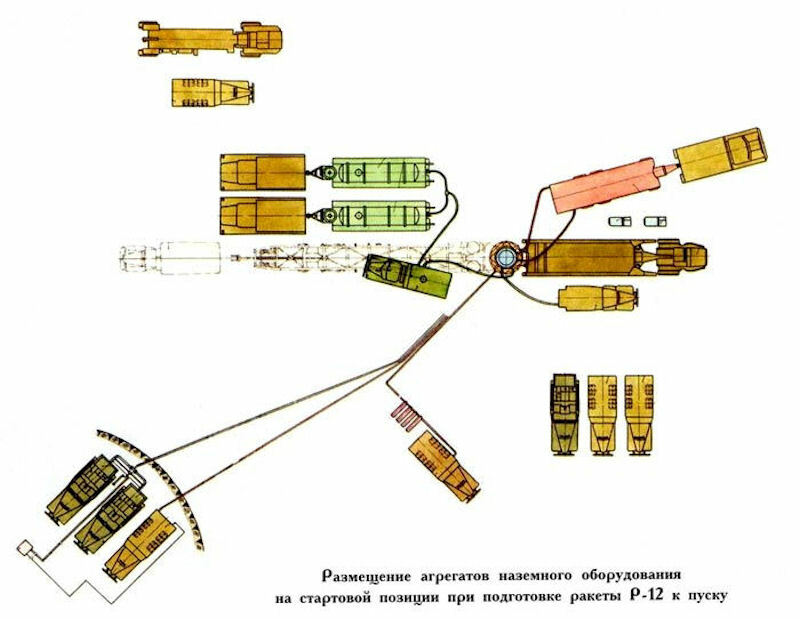 The Dvina launch complex included a group of 3 to 4 silo control systems with a command post and support systems for all launchers of the complex. 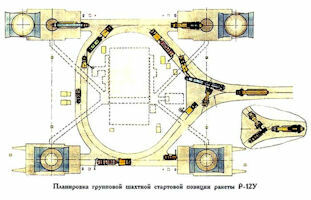 Combat starting positions of group silos for R-12U missiles included four silos with missiles located in the corners of the rectangle at a distance of up to 100 m, and for R-14U missiles - three silos. The rocket complexes with the R-12U missile were located: in the cities of Ordzhonikidze, Gvardeysk, Ostrov, Khabarovsk, near the village of Manzovka in Russia, as well as in Ukraine, Belarus, Kazakhstan, Estonia and Lithuania. Missile shelves with R-14 and R-14U missiles were located near the settlements of Nerchinsk, Tin in the Chita region. The silo launch ["mine starting"] complex received its own code name "Chusovaya", similar to the name of the river in the Middle Urals, the left tributary of Kama. 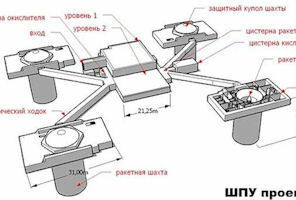 Silo launchers of the group "Chusovaya" were developed in the Bureau Spetsmash. The complex consisted of three silos located in three corners of an imaginary rectangle with a side of about 100 meters with a two-story underground command and engineering center in the center, an oxidizer storage, fuel and compressed gases, and auxiliary and process equipment. The position of the rocket missiles R-14U consisted of three silo launchers and a protected command post. The rockets were loaded into silo launchers with the help of special installers and stored with empty fuel tanks. They were refueled in the event of a threatened situation. The vitality of the silo launchers of the R-12U Dvina and R-14U Chusovaya missiles was not high. The radius of their defeat during a bomb explosion of 1 Mt was 1.5-2 km. The combat positions of the silo launchers were grouped: 4 for P-12U and 3 mines for P-14U, located at a distance of less than 100 m from each other. Thus, an explosion of 1 Mt could destroy at once 3 or 4 mines. 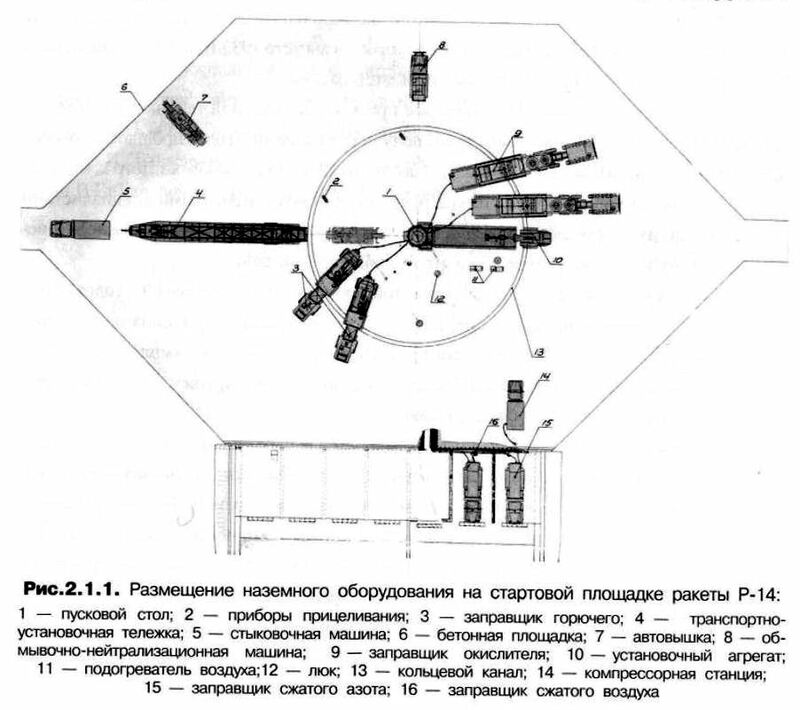 Nevertheless, the security of missiles in silo launchers was significantly higher than in open launchers.